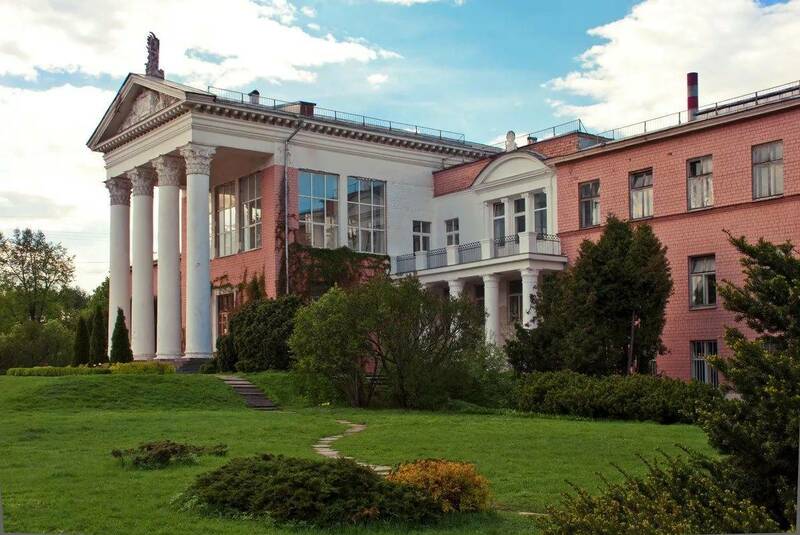 Laid out in 1945, the Botanical Garden now belongs to the Russian Academy of Sciences. 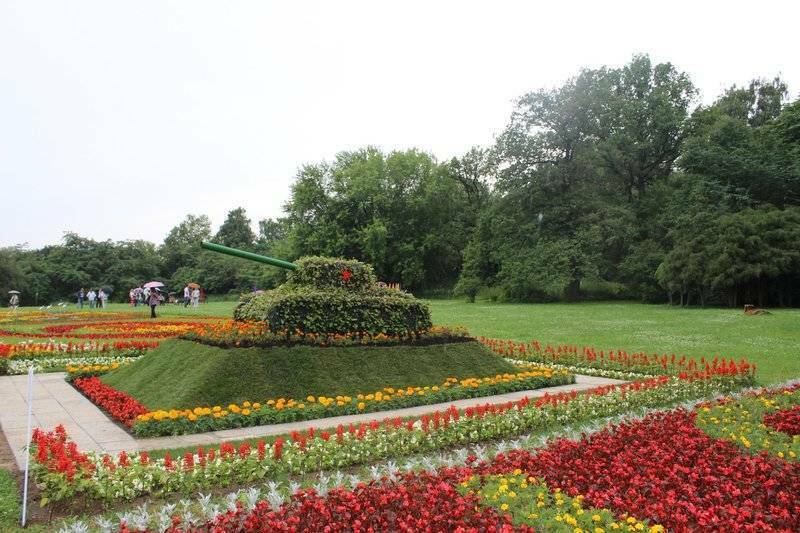 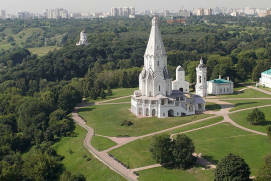 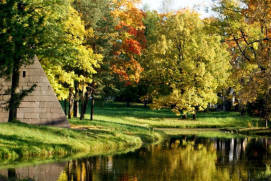 The Garden is spread over more than 300 hectares in the north of Moscow. 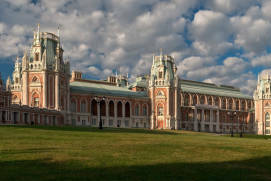 Five exhibitions illustrate the botanical diversity of Russia: the Far East, Siberia, Central Asia, the Caucasus and European Russia. 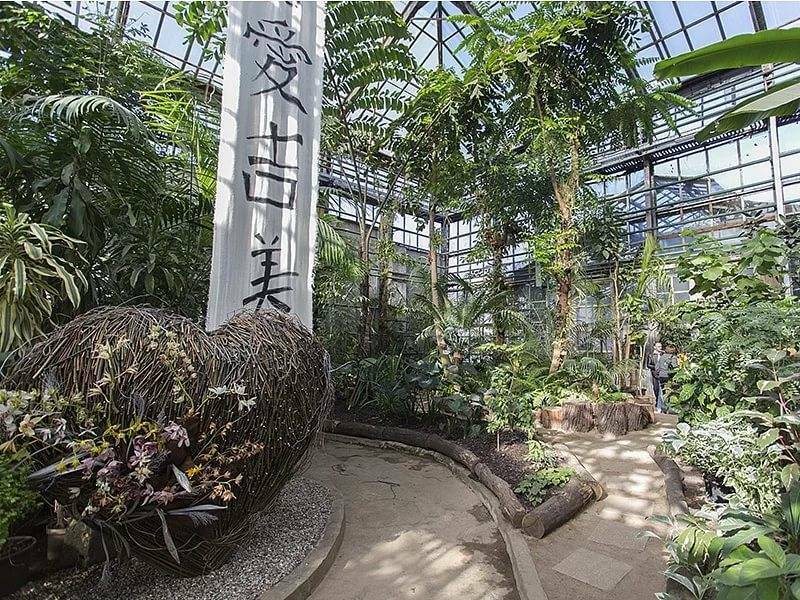 The Botanical Garden’s collection of orchids counts over 1,000 species. 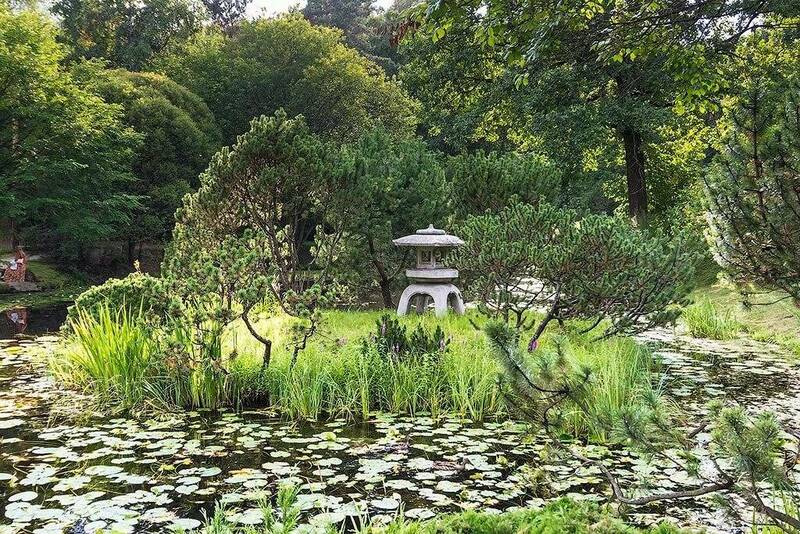 Japanese gardeners contributed to the creation of the Japanese Garden featuring an exhibition of plants from the Russian Far East. 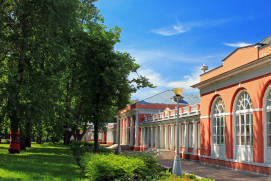 Guided tours along the Botanical Garden’s plant houses are offered in Russian and English. 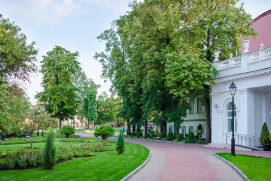 The Central Botanical Garden of the Russian Academy of SciencesRussian: Glavnyi botanicheskiy sad Akademii nauk or Главный ботанический сад Академии наук, one of the largest in Europe, is a great place which boasts a valuable collection of rare plants while providing visitors with the opportunity to plunge into the world of nature without having to leave the city. 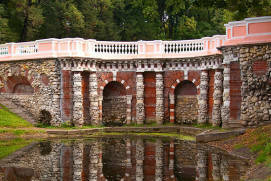 The Botanical Garden comprises areas representative of the Russian flora as well as flora from the countries of the former Soviet Union, a Japanese gardenRussian: Yaponskiy sad or Японский сад, a huge 70-hectare arboretum with over 2,200 species of trees, greenhouses and flower and fruit plant displays. 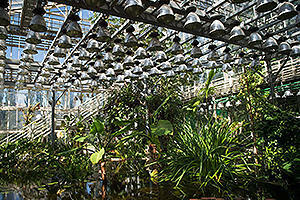 The collection contains more than 8,000 plant species; you can easily spend several days among this variety of plants. 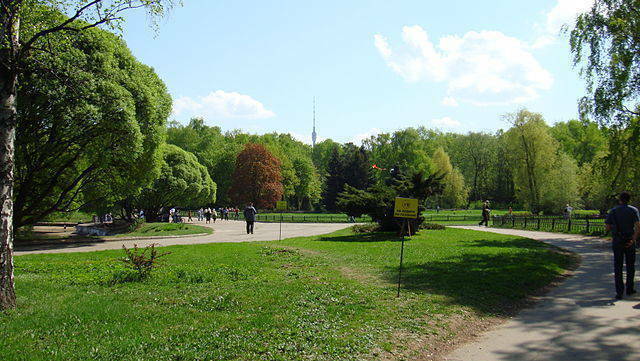 The Botanical Garden was laid out in 1945, in the intact natural area where Tsar Alexis Ithe tsar of Russia from 1645 until his death in 1676 of Russia used to hunt. 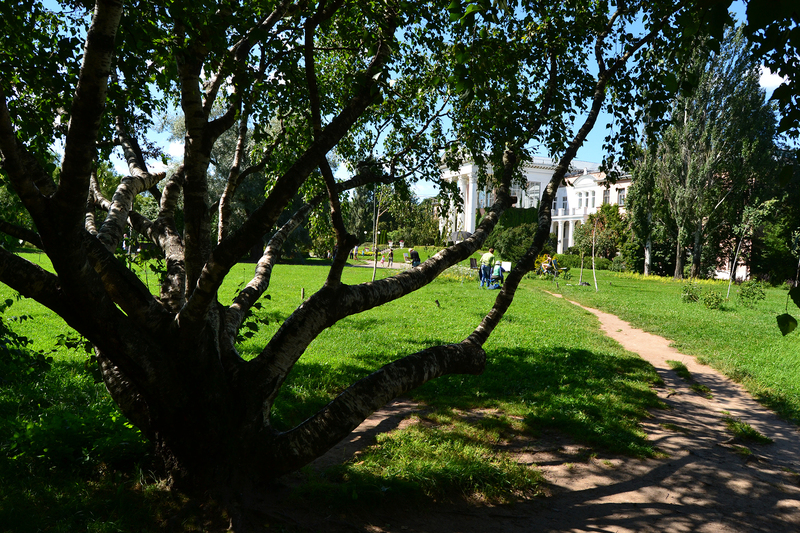 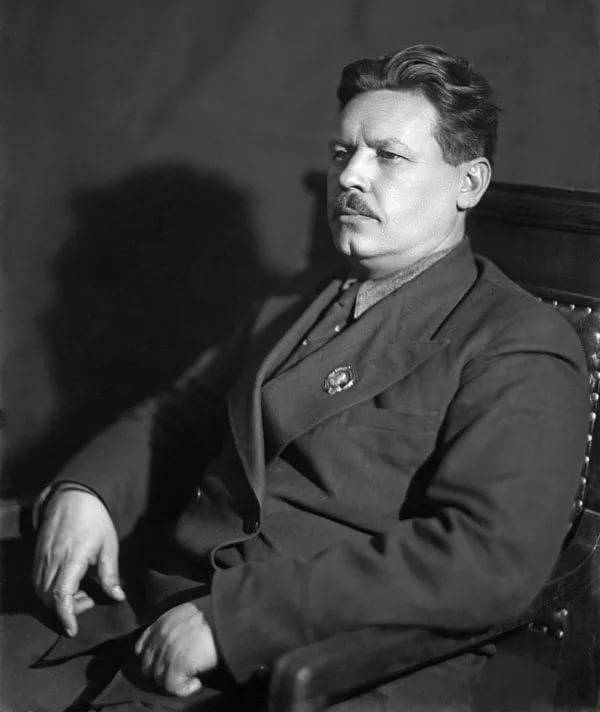 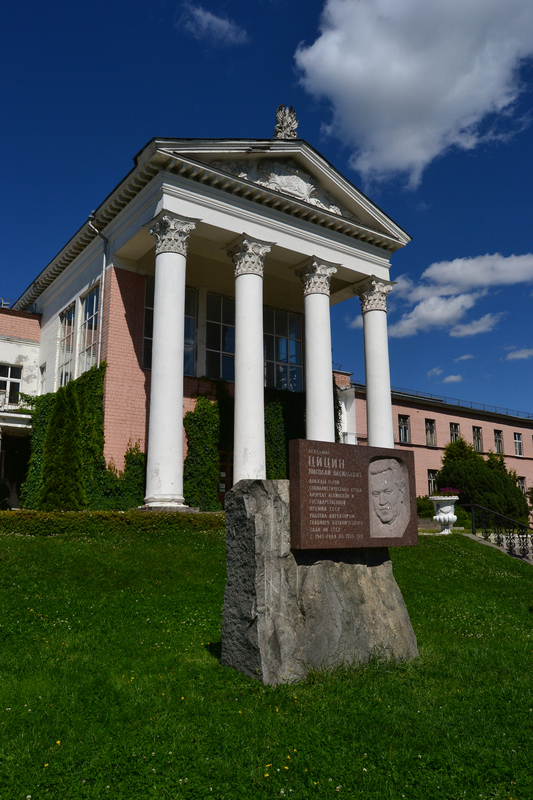 The garden is part of the Russian Academy of Sciences and is named after its first director, academician Nikolay Tsitsin. 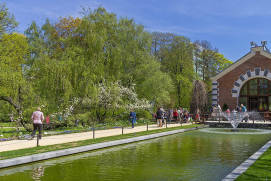 The garden’s collection are often used during the Academy’s practical work. 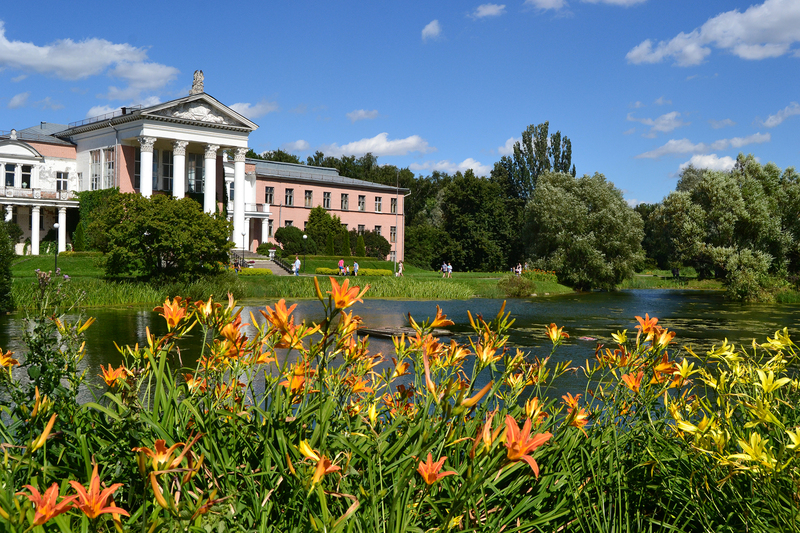 Interestingly, the plants forming the core of this collection came from a greenhouse at the Sans-Souci palace in Potsdam in 1947. 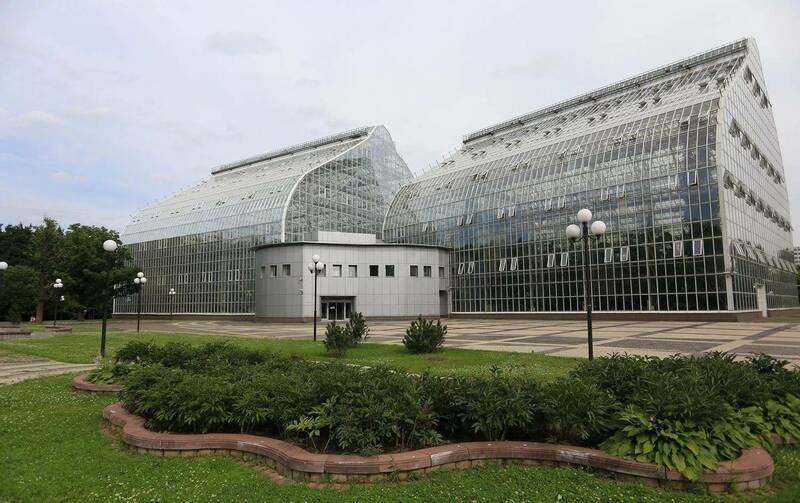 The Botanical Garden covers 300-hectares in northern Moscow, with its five exhibitions classifying Russia’s biological diversity by their geographical origin: the Far East, Siberia, Central Asia, the Caucasus and European Russia. 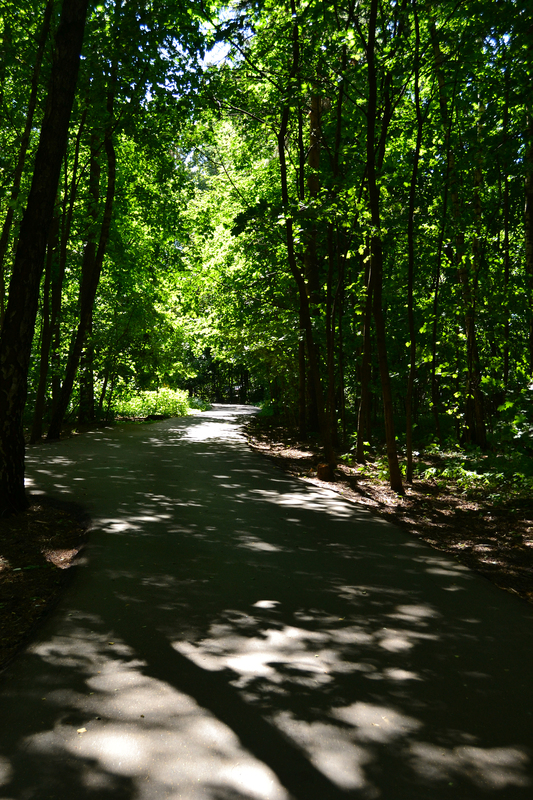 The park also includes an area showcasing plants from all continents, divided by region and biological species. 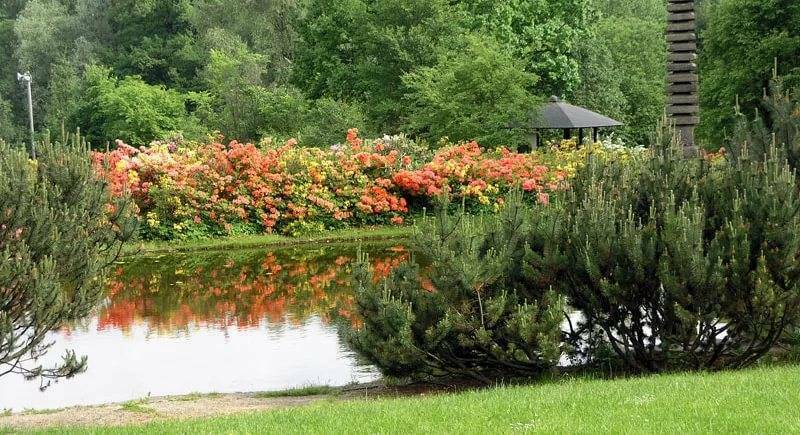 A leisurely walk through a garden planted with fruit trees and flowers will lead you straight into a real coniferous forest, from there – to a Japanese garden, and you will finish your walk in a greenhouse with tropical plants. 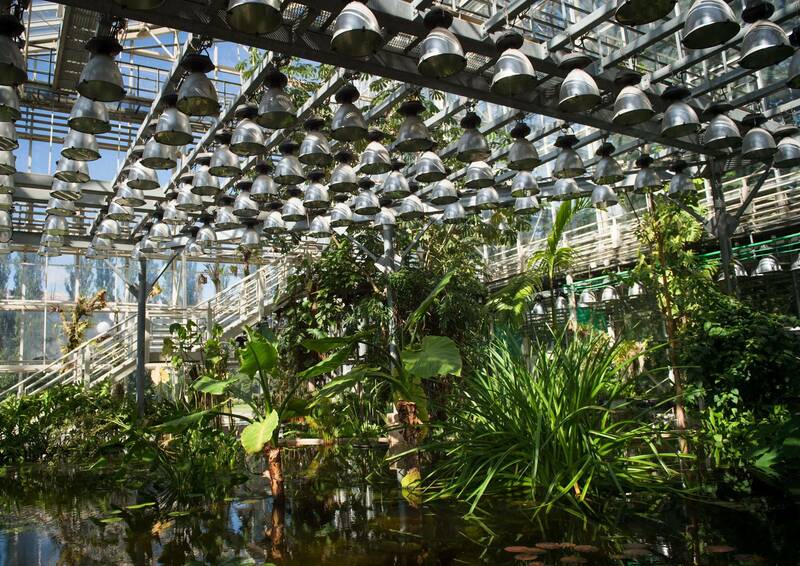 Interestingly, the garden’s collection of orchids comprises over a thousand different species. 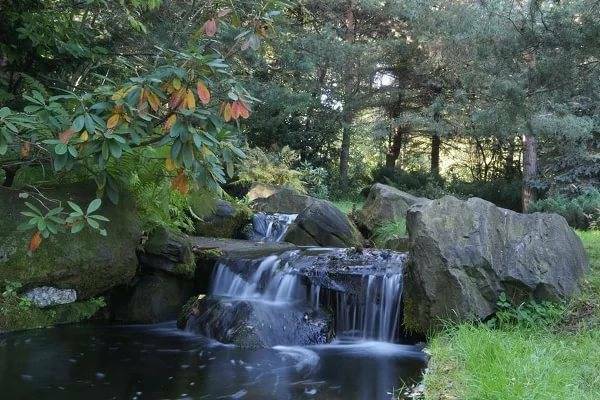 The Botanical Garden is open to visitors 24/7, but some areas may close in the evenings. 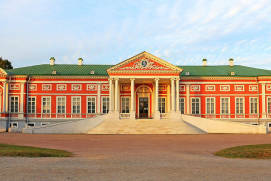 Entrance is free of charge, with the exception of the GreenhouseRussian: Oranzhereya or Оранжерея and the Japanese Garden hosting an exhibition of plants from Russia’s Far East, which was arranged with the help of Japanese gardeners. 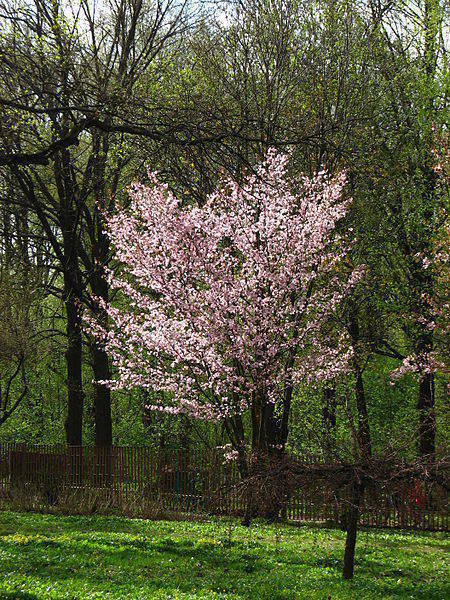 Central to this collection are Sakura trees, whose cherry blossoms are particularly spectacular from late April to early May. Guided tours to the Botanical Garden’s greenhouses are available, and groups can book these in advance. 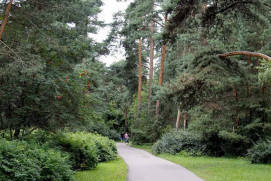 The Botanical Garden is is also popular among outdoor enthusiasts. 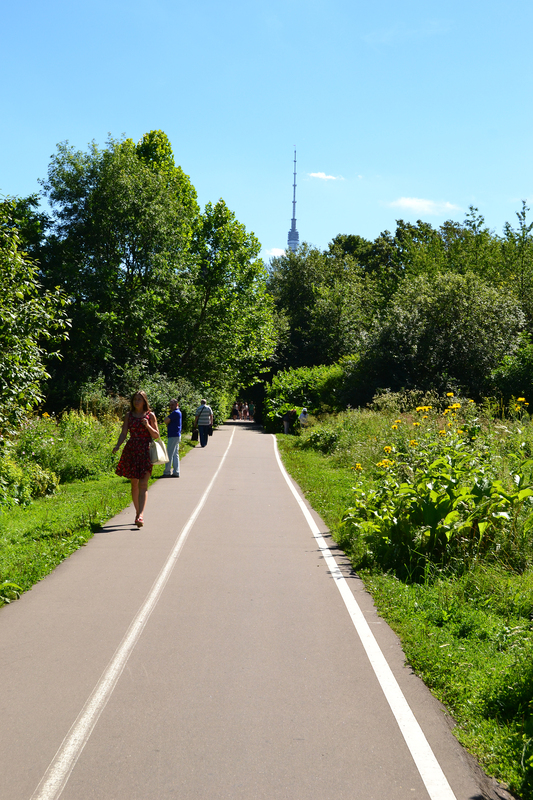 Its wide lanes are perfect for jogging, biking, roller skating or skateboarding in summertime, and for cross-country skiing in the winter. 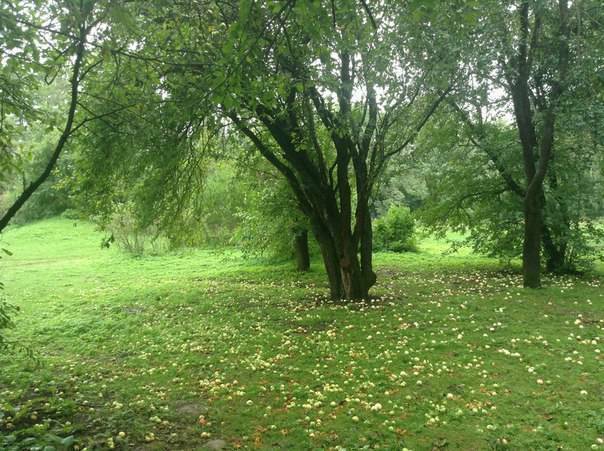 You will often see squirrels in the alleys, and the garden becomes home to all kinds of birds in springtime and early summer. 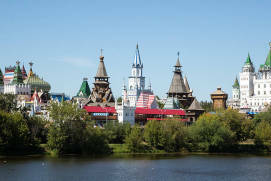 This exhibition Moscow is located near the famous VDNKh Moscow (Exhibition of Achievements of the National Economy) park. 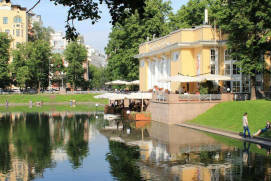 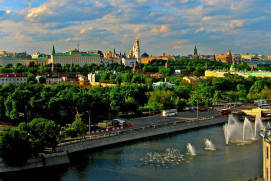 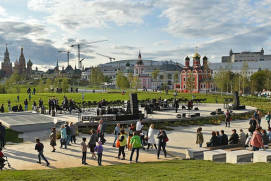 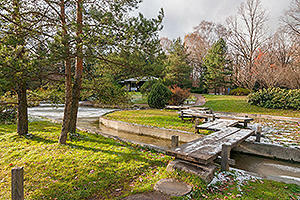 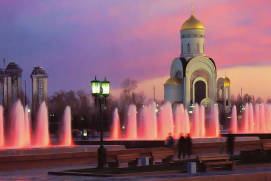 You can learn a lot about this popular place for leisure on our website page “VDNKh”. 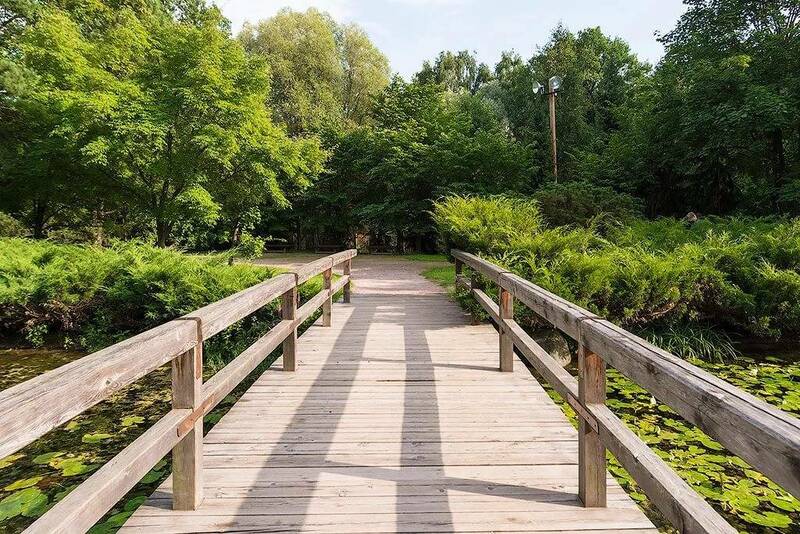 The garden staff ask visitors to respect the work of several generations of professionals who have contributed significantly to the preservation of the Earth’s botanical diversity. 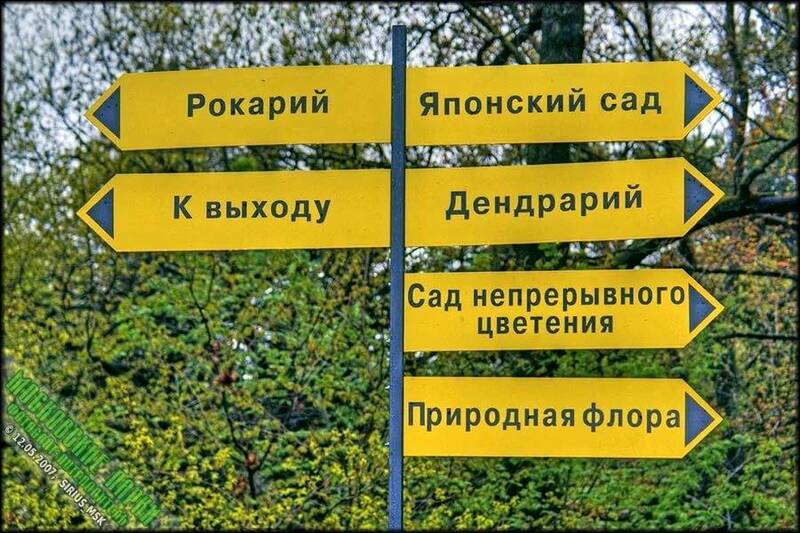 In the Central Botanical Garden of the Russian Academy of Sciences, visitors are not allowed to pick mushrooms, flowers, berries and fruit, or to dig up or break plants. 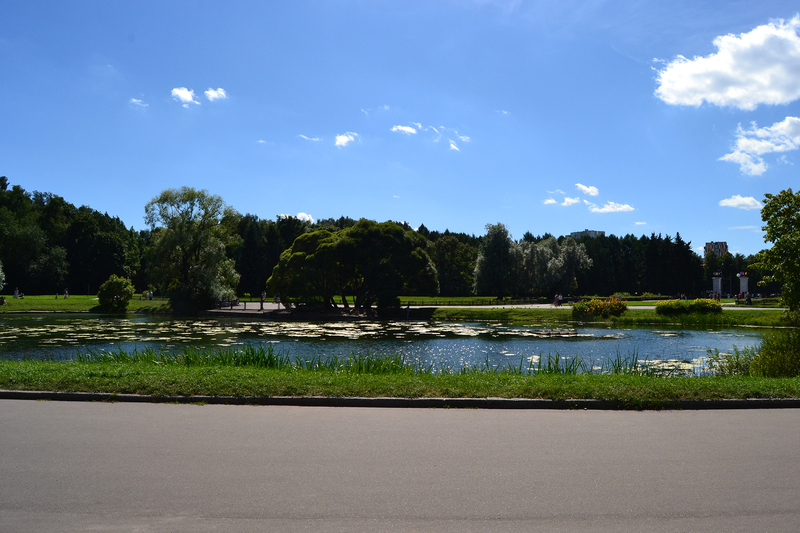 It is equally prohibited to step on the grass, to walk pets, to swim or to fish. 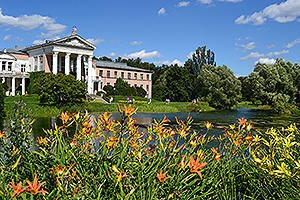 One of the most popular services offered by the Central Botanical Garden is providing a venue for the weddings. 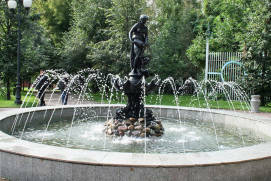 The 2,5-hectare rose garden in blossom and fountain cascades are open to all those who would like to get married amongst the flowers. 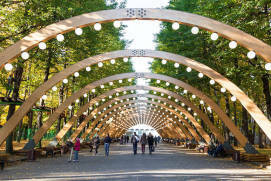 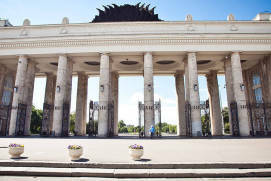 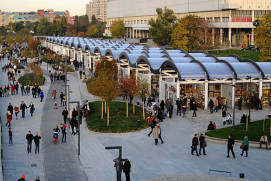 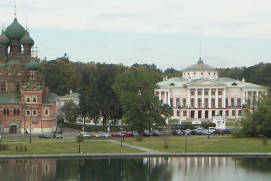 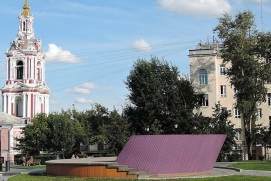 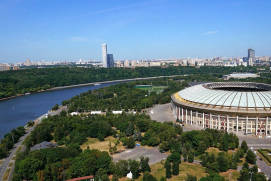 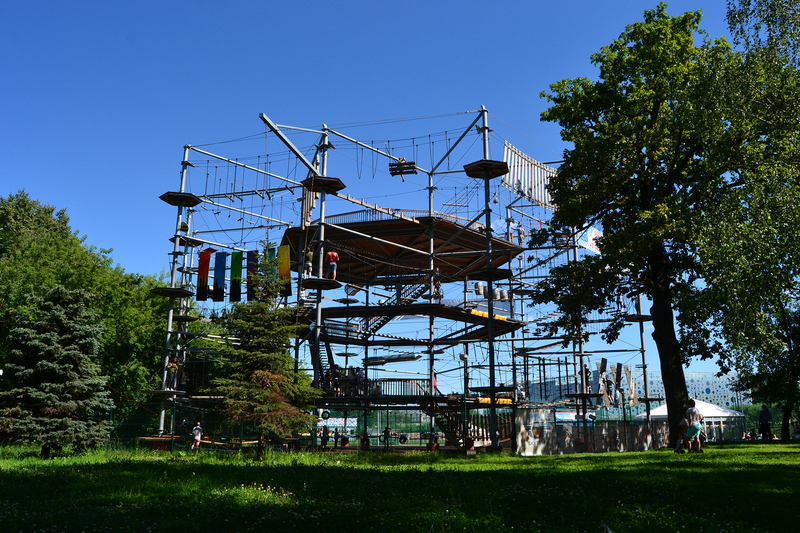 A number of other points of interest are located just outside the Botanical Garden, including the VDNKhRussian: ВДНХ trade shows in Moscow and amusement park (the Russian acronym stands for ‘Exhibition of Achievements of the National EconomyRussian: Vastavka dostizheniy narodnogo khozyaistva or Выставка достижений народного хозяйства’), the Museum of CosmonauticsRussian: Muzey kosmonavtiki or Музей космонавтики, the country estate of OstankinoRussian: usadba Ostankino or усадьба Останкино, and the Ostankino Television TowerRussian: Ostankinskaya telebashnya or Останкинская телебашня. 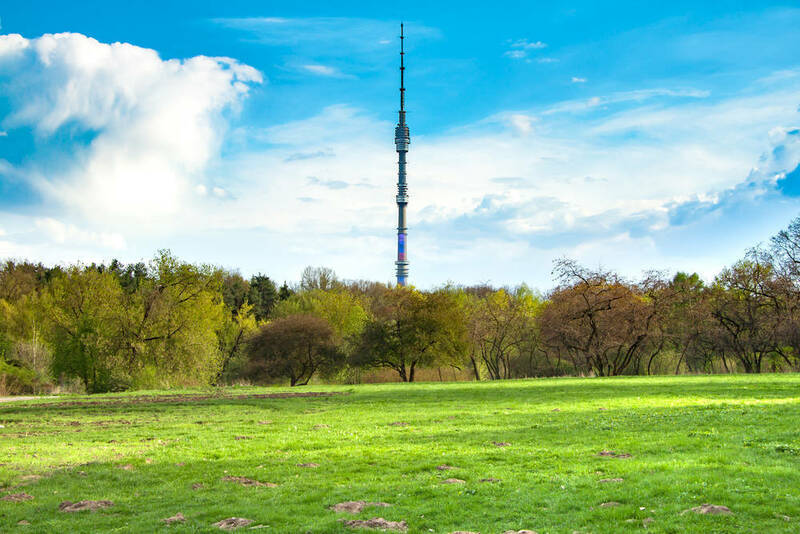 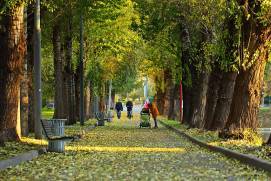 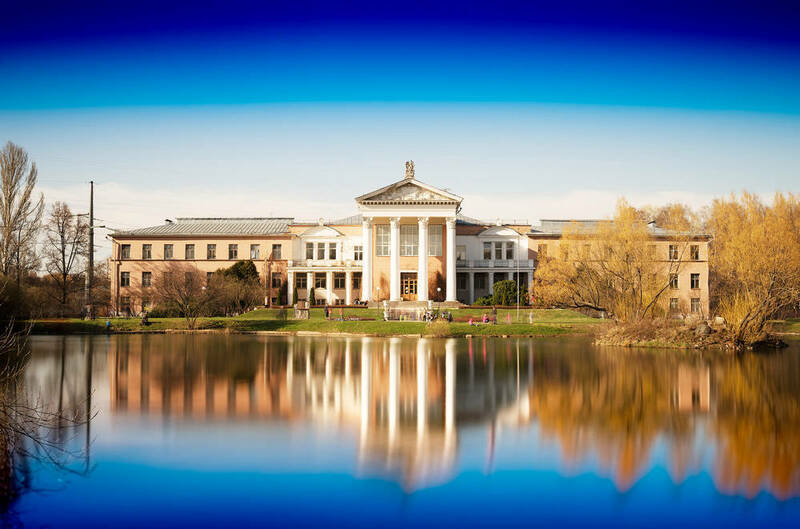 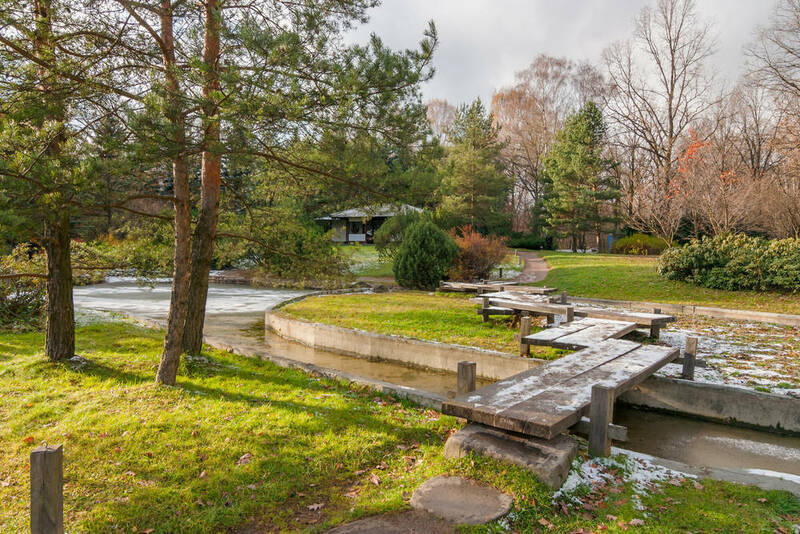 The Botanical Garden, the Ostankino Park and the VDNKh merge into one another, so it will take you a long time to walk around these parks enjoying nature and architecture alike. 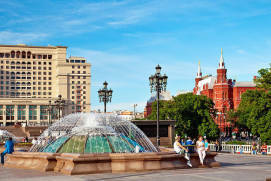 from February 15 to March 15: from 11 a.m. to 6 p.m.
from March 16 to September 31: from 11 a.m. to 7 p.m.
from October 1 to October 31: from 10 a.m. to 6 p.m.
from 1 November to 14 February: from 10 a.m. to 5 p.m. 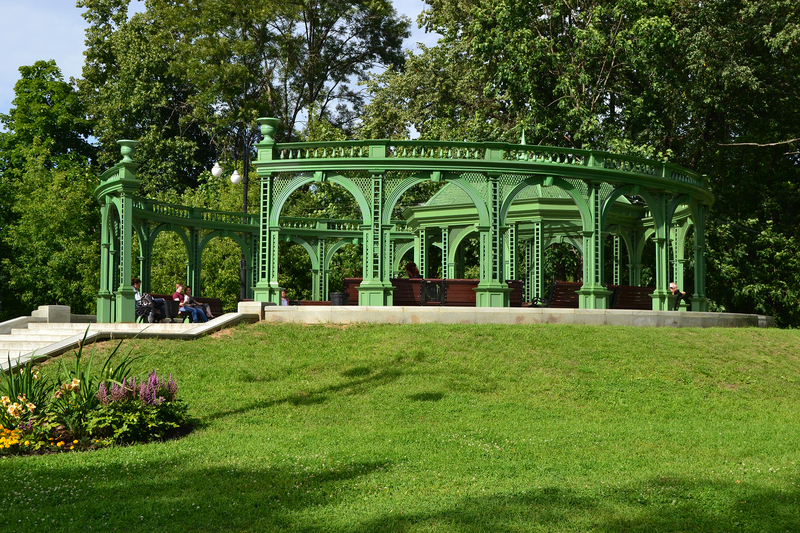 The lunch hour at the ticket office: from 1 p.m. to 1.30 p.m., the ticket office closes 30 minutes before the closing of the greenhouse. 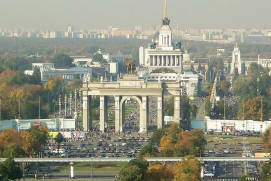 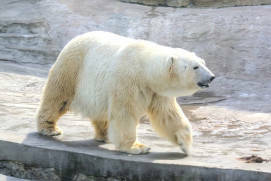 From 20 to 350 rubles depending on visitor's category and programme of visits. 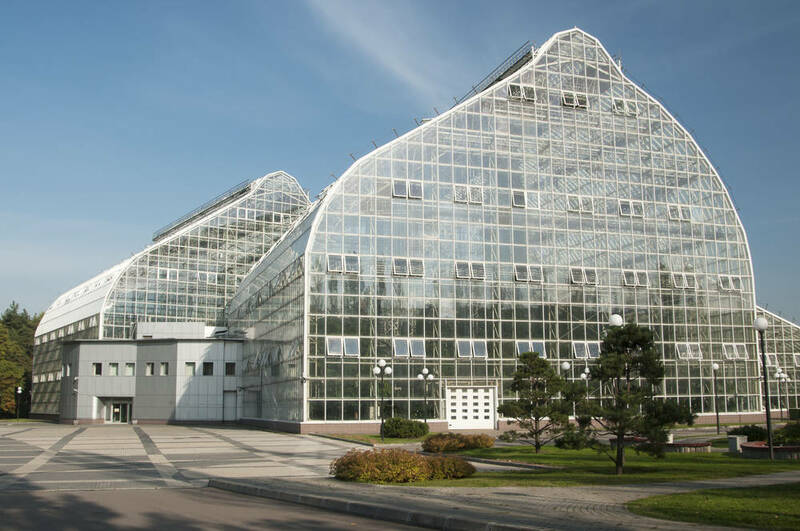 The Greenhouse sells crop products (live plants).